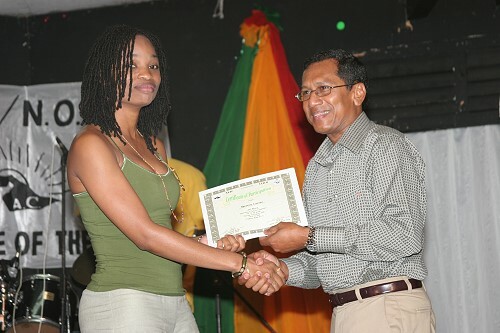 Published on November 11, 2009 in Awards and Calypso/Soca. 0 Comments Tags: Calypso/Soca, Eric Taylor, Tuco. Eric Taylor, president of the Trinbago Unified Calypsonian Organisation (Tuco), is today assuring young calypsonians that years of neglect by his organisation are now at an end. At last Wednesday’s distribution of HP laptops to 18 finalists in this year’s National Junior Calypso Monarch competition at Tuco’s Jerningham Avenue, Belmont office, Taylor announced the new respect future bards can expect. Published on February 7, 2009 in Awards, Calypso/Soca and Carnival. 1 Comment Tags: Calypso/Soca, Soca, Stars, Synergy. 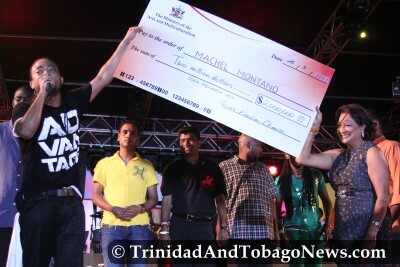 HEâ€™s been a favourite throughout the competition and on Thursday Richard â€œChyneeâ€ Valentine became Synergy TVâ€™s Soca Star winner. The National Youth Action Committee held its Annual Young Composers Competition and Annual Emancipation Competition prize-giving ceremony on Thursday 28th December, 2006, at the SWWTU Hall on Wrightson Road, Port of Spain. The audience mainly included the participants of the two competitions, their parents and their supporters.